Two U.S. senators are pushing the Trump administration to sell F-35 Joint Strike Fighters to Taiwan. In a letter addressed to Trump on March 26, Sens. 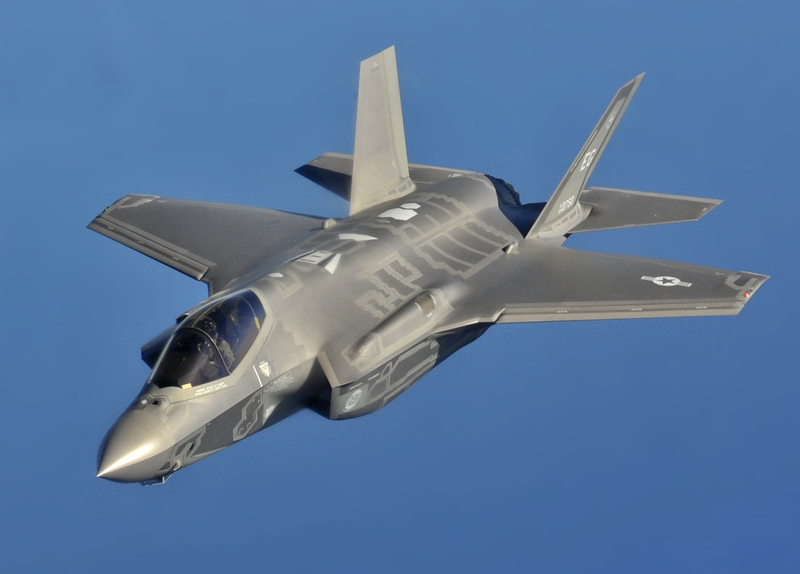 John Cornyn and James Inhofe urged the president to sell Taiwan the F-35B fighter jets. If that could not be arranged, Cornyn and Inhofe said Washington should sell Taipei the F-16V. Taiwan’s pressure on the United States to sell it the F-35B has only increased as the plane has come closer to deployment. In the spring of 2017, reports emerged that Taiwan’s minister of defense intended to officially declare its intention to purchase the jets to U.S. officials. It does not appear that Taiwan ever made this official request, although it’s unclear why not. Still, Taipei’s interest persists, as Taiwan’s minister of national defense, Yen Teh-fa, told the country’s parliament earlier this month. “The F-35 has the ability to take off and land vertically. It suits the requirements of the air force command. Indeed this matter has been raised with the U.S.,” Yen said. Taipei’s interest in the F-35B is easy to understand. According to Taiwan’s Ministry of Defense, China has some 1,500 ballistic missiles pointed at the island nation. And a study done by the RAND Corporation found that Beijing would only need 155 ballistic missiles to destroy all the Taiwanese runways that are long enough to launch normal fighter jets. By contrast, a short-takeoff and vertical-landing fighter like the F-35B could disperse quickly in the event of a war with China. This would prevent them from being destroyed on the ground. The F-35Bs could also operate from shorter, commercial air strips or other areas in Taiwan. The United States agreed to sell Taiwan 150 F-16A/B Block 20 fighters during the 1990s. During the Obama administration, Taiwan requested to buy sixty-six new F-16C/D fighter jets from Washington, but America demurred. Instead, the United States is helping Taiwan upgrade its existing fleet of F-16s, said to be around 140 jets, to meet the F-16V standard. Among the upgrades will be the integration of active electronically scanned Northrop Grumman AN/APG-83 Scalable Agile Beam Radar. Taipei also purchased sixty Mirage 2000s from France in the late 1990s. Fifty-five of these are left, and Taipei has explored modernizing and expanding the life of these planes. There has also been talk about building a new indigenous fighter jet. Taiwan has found itself facing increased pressure from mainland China in recent years due to Beijing’s growing military modernization and aggressive actions. “After years of military modernization, China shows the ability to wage war against Taiwan for the first time since the 1950’s,” Cornyn and Inhofe wrote in their letter to President Trump. China has also conducted increasingly frequent flights near the island nation. An analysis that appeared in War on the Rocks in September of last year noted, “After conducting two strategic bomber flights around Taiwan in late 2016, Beijing in the last two months has significantly stepped up its operational tempo with at least another five flights circumnavigating the island.” These flights have continued since that article was published, with numerous ones in December and November. The latest of these took place just this week. It is unclear how the Trump administration will respond to the senators’ request.